So fun, we are crazy for this new Margaret O'Leary tee! 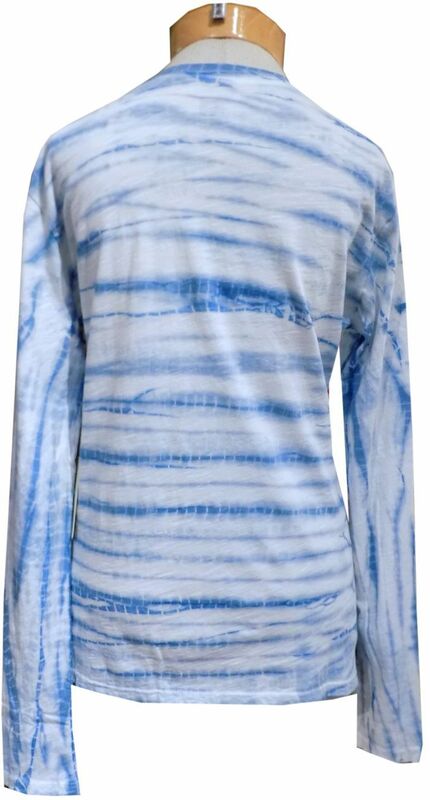 A wonderful multi-tone light blue tie-dye wash, all done in her wonderful medium weight cotton that feels wonderful and washes perfectly. A great way to throw in a little pop into an outfit, whether you layer or wear it solo!